Can employers see my uploaded resume, If I do not apply for a job? Can I apply for more than one jobs at a time? How can I keep a track of all my job applications? How can one permanently delete his/her profile on Career.VI? How do I meet my legal obligation to local Department of Labor of information them of any job openings with my company? I do not have a professional resume. How can I benefit from Career.VI in this situation? I looked in your FAQs and found the answer to the question about the status of a submitted application, but it doesn't tell me whether the company has received it or not? Is that info available? I posted my resume and signed up and now I cant log back in. Do I have to start over? Is there a fee associated with posting a job on Career.VI? Is there a fee for searching and applying for a job on Career.VI? Is there a limitation on number of jobs that can be posted free on Career.VI? What should I do if I receive resumes in WPS and ZIP formats? Confidentialy is our number 1 rule! No employer can see your resume unless you apply for a job on Career.VI. Your uploaded resume stay safe with us until you choose to seek a job. You can apply for as many jobs as you like at a time. Career.VI is FREE for all job seekers. Career.VI offers you state-of-the art management area that helps you keep track of all your job applications. You can keep up to four (4) resumes in our Job Seeker management area at any given time. This will also show the status of your applications. Any profile can be edited on Career.VI by logging in with your username and password and using the provided tools under your admin area. Currently, features to delete one's profile are not available. Career.VI takes away the headache of meeting your legal obligation to local Department of Labor of informing about your job openings. Our robust job posting system allows you to send your job opening to the local Department of Labor of your choice with just one click. All you need to do is to select the appropriate local Department of Labor office and our system will convert your job opening into their format and automatically fax it to them while keeping complete confidentiality. 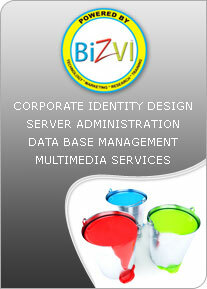 This service is absolutely FREE for all the employers and offer you great value for your time. Career.VI offers a robust Resume Builder wizard for those who do not have a professional resume already done. All you need to do is sign up and use our Resume Wizard to build a professional resume in no time, absolutely FREE! Once you apply for any job opening on Career.VI, a successful submission message shows that your application is received by the employer. You can also confirm by directly contacting the employer for your satisfaction. You can have problems logging in if you don't enter either your username of password correctly. If you have forgotten your password, you can click on "Forgot My Password" link in the login area and follow the directions. Should the login issue persists, you can contact us at (340) 772-4984 and we will be happy to assist you. No, there is no fee associated with posting a job on Career.VI. Its a completely FREE platform for all employers. Feel free to upload your open jobs and tap into a larger market to get the best value for your invested time. Career.VI is a FREE platform for job seekers from anywhere in the world. Once you are registered with Career.VI, you can apply for as many jobs as you like without any cost. No, there is no limitation on the number of jobs that you can post free on Career.VI. Post 1 or 100 or even more, its absolutely FREE for all employers. Many job seekers upload their resume in Microsoft Word's .doc format; however, few choose to use Microsoft Works as their word processing software and some use Microsoft Office Suite 2007. The resume uploaded in Microsoft Works format carry .WPS extension and can be opened with Microsoft Works which is available online and normally comes with new computer productivity suits. The resumes uploaded in Microsoft Office Suite 2007 show their format in ZIP files. If you use any earlier version of Microsoft Office i.e. 2003 and earlier, you may not be able to open a resume sent to you in the latest version of Microsoft Office. In this case, you can either get a newer version of Microsoft Office or can ask the job seeker to send you his/her resume again in the acceptable format. Applicant's contact information can be obtained by clicking on the job seeker's name. I enjoy the many employment opportunities and benefits that Career.VI has to offer!